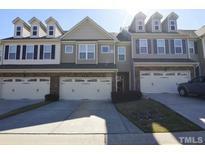 Below you can view all the homes for sale in the Cleveland Springs subdivision located in Garner North Carolina. Listings in Cleveland Springs are updated daily from data we receive from the Raleigh multiple listing service. To learn more about any of these homes or to receive custom notifications when a new property is listed for sale in Cleveland Springs, give us a call at 919-759-5792. 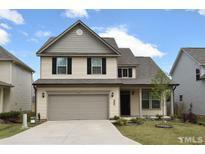 This "Cameron" Floor plan boast many upgrades and is move in ready. MLS#2249954. 3030. Minutes to shopping, restaurants and major highways. MLS#2248969. 1768. Don't miss the opportunity to see this house today. New Stainless Steel Whirlpool Appliances! MLS#2248396. 4025. For Comps Only MLS#2247026. 2983. For Comps Only MLS#2247030. 2983. 3 bedroom/2.5 bath/loft/formal living room For Comps Only MLS#2242775. 2983. This home is part of the Forest Brooke Residents HOA. MLS#2241446. 4823. Community pool and playground nearby and visitor parking spots on site. HOA maintains exterior and lawn! MLS#2241154. 5182. Access to a community pool is part of the Cleveland Springs HOA Inc. MLS#2240157. 4823. The Cameron Home is 2018 sqft 4b/2.5bath, kitchen Island, 2 car garage, fireplace, Trim package, upgraded stone elevation, extra windows, and much more. ***FOR COMPS ONLY*** MLS#2238998. 2983. 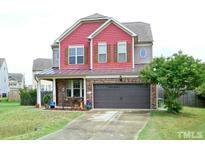 1996 sqft, 3bedrooms/2.5baths/flex room/family room/laundry room/ 2 car garage/walk in Closets/large kitchen with island. **For Comps Only** MLS#2238499. 2983. POOL Community with a playground and close to it ALL! MLS#2236358. 3911. Can be walked/Unit is currently under construction. Photos are done model... MLS#2236746. 2983. Listing is for comps only. Pictures are of finished unit... MLS#2236313. 2983. **photos are of finished model home** For comps only MLS#2231853. 2983. Pictures are of a completed model home. MLS#2229506. 2983. Pictures Are Of A Completed Model Home*** MLS#2229497. 2983. Photos are of an existing model home- not of the actual home. This is a pre-sale. MLS#2229500. 2983. 4bed/2.5bath...This home has a private study off the family room, oversized kitchen with island and granite tops...The master bath is upgraded with soaking tub and shower. For Comps Only MLS#2229050. 2983. The "Elmhurst Home" 2300 sqft…..4bedroms/2.5 bath/extended breakfast room/upgraded elevation. For Comps Only!!!! ! MLS#2228969. 2983. NOT BUILT YET/PRE-SALE...…..in last phase. MLS#2228297. 2983. ***pre-sale*** ***for Comp Purposes Only*** MLS#2227411. 2983.